The Pyle Banknote Bill Counter provides accurate & reliable money counting ability. Built-in high-sensitivity security features ensure each bill is scanned thoroughly for authenticity. Hassle-free operation allows you to load the hopper and begin automatic bill processing with the press of a button. If the unit detects a counterfeit, the system will cease counting and a beeping alarm notification detects the faulty banknote. It works with all types of bills -- whether they are old, new, wrinkled or even fatigued notes from years of circulation. Use the button control center to manage your bill-counting process; choose the 'Add' function to continuously keep count of bills as they are added and processed through the hopper, or chose the 'Batch' function which will automatically stop processing bills once a set target amount is achieved. 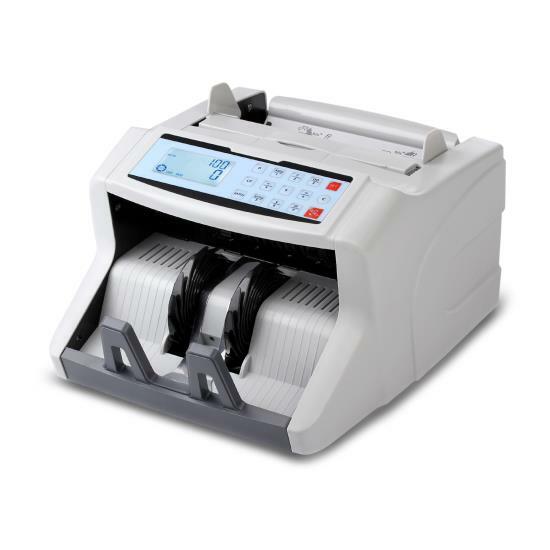 Enjoy accurate, reliable and high-speed bill-counting ability with the Pyle Banknote Bill Counter.